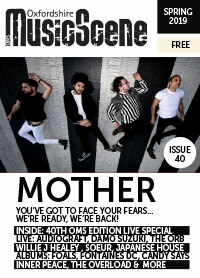 Mother, 40th Edition Live Special, Foals, Fontaines DC and Candy Says albums, Inner Peace, The Overload, and more. 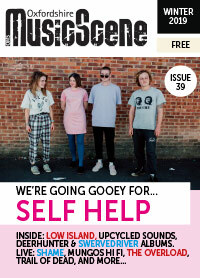 Self Help, Low Island, Upcycled Sounds, Deerhunter and Swervedriver albums, Shame, Mungos Hi Fi, The Overload and Trail Of Dead live reviews, and more. 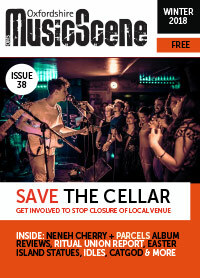 Save The Cellar, Easter Island Statues, Kid Kin, Catgod, Ritual Union and Willie J Healey reviews, Neneh Cherry and Parcels albums reviewed, and more. 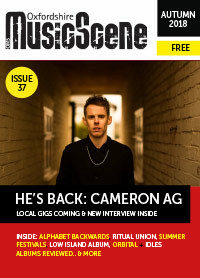 Cameron AG, Alphabet Backwards, Ritual Union, summer festivals, Low Island album, Orbital and Idles albums reviewed, and more. Festival guide, Magic Gang, Deadbeat Apostles, Cabbage, Shame, Courtney Barnett, Peace, Low Island, Lucy Leave, The Other Dramas, Jon Hopkins, and more. 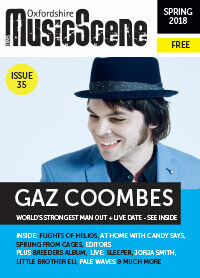 Music news, Gaz Coombes, Sprung From Cages, Oxford’s spoken word scene, Candy Says, Flights Of Helios, BBC Introducing SXSW, live reviews, national release reviews, local release reviews including Mother, and more. Music news, Dreadzone interview, open mic nights, Little Brother Eli interview, Matt Sage interview, Desert Storm’s record collection, The Studio & Gear Spy with Chris Monger, Henwood Studios, live reviews, BBC Introducing in Oxford, national release reviews, local release reviews including Brickwork Lizards. 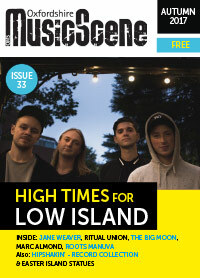 Interview with Low Island, Johnny Louche from Hipshakin’s record collection, Ritual Union reviewed, Beck and St Vincent reviewed. 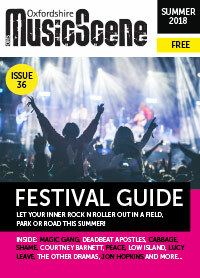 Also SAE Institute, Chris Monger, Easter Island Statues, Event Production Services and BBC Introducing in Oxford. 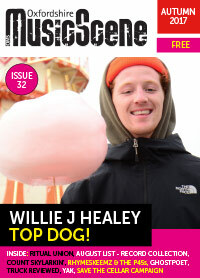 Interview with Willie J Healey, August List’s record collection, Truck 2017 reviewed, The Other Dramas and Golden Cities reviewed. Also Ghost Poet, The Cribs, The War on Drugs, Count Skylarkin’, Green Room studios and the Save the Cellar campaign. 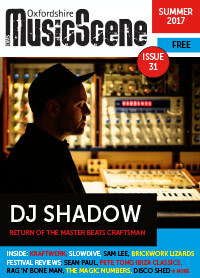 Includes interviews with DJ Shadow, Ags Connolly and Haze, news, local and national release reviews, live reviews, features on Terraforms and the local reggae scene, and a column from BBC Introducing in Oxford. 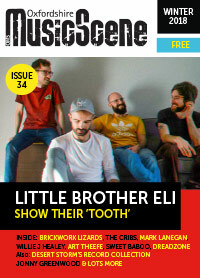 Off the Ball and Oxfordshire Music Scene magazines are published by Back & to the Left.